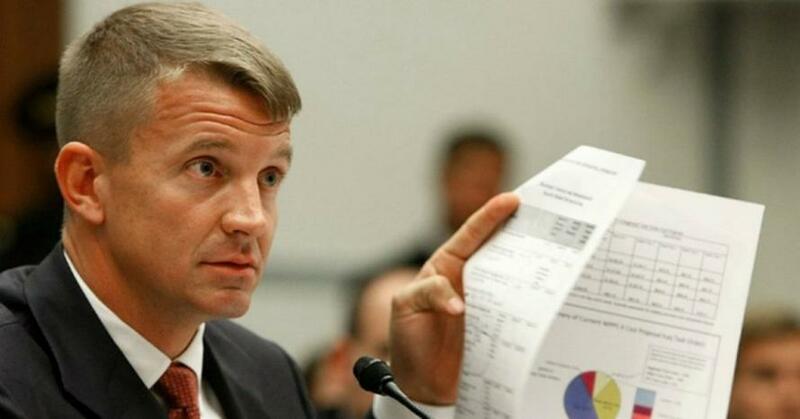 Prince — the brother of billionaire Education Secretary Betsy DeVos — has over the past years since selling his mired-in-controversy Blackwater group (now Academi) begun a new mercenary empire in China called Frontier Services Group (FSG), in a market where Western firms of necessity find themselves working closely with Chinese state authorities. He's reportedly had success in securing security and logistics contracts in Africa and China, and has since at least 2017 lobbied both top US generals and Congressional leaders to consider massive privatization of the now fast approaching two decade long quagmire in Afghanistan, from which Trump has recently vowed to extricate the United States. Prince's prior headline grabbing Afghan plan involved some 6,000+ mercenaries overseen by a "viceroy" reporting directly to the White House, and with a private air force to boot. An extensive report in The Atlantic at the time the plan went public, in August 2017, noted that the generals hated the plan and thought it unrealistic, with some officials calling it "absurd", and further doubting that Prince had US interests at heart. Similar to his lobbying capitol hill with the Afghan privatization plan before, Prince has already long been shopping his Syria privatization plan around D.C. and even Arab Gulf capitals before taking it public; but the fact that he's now appearing on Fox to pitch it across the air waves means no doubt many doors have already been slammed in his face.